Features :- 2400W for fast heat up : High power for fast heat up and powerful performance .- Continu..
- 2400W for fast heat up : High power for fast heat up and powerful performance . - Continuous steam ouput to ease crease removal : Continuous steam output of up to 35g/min gives you the ideal constant amount of steam to efficiently remove all creases . - Precision tip for convenient ironing : The tip of the iron features a special shape that makes ironing around buttons much easier . - In case of particularly tough creases, the shot of steam flow reaches up to 145gr per min for smooth ironing . - Durilium AirGlide : #1 in glide : The new Durilium AirGlide Technology ensures the best glide for fast and effortless ironing. It also ensures optimal steam diffusion for high-efficiency ironing . 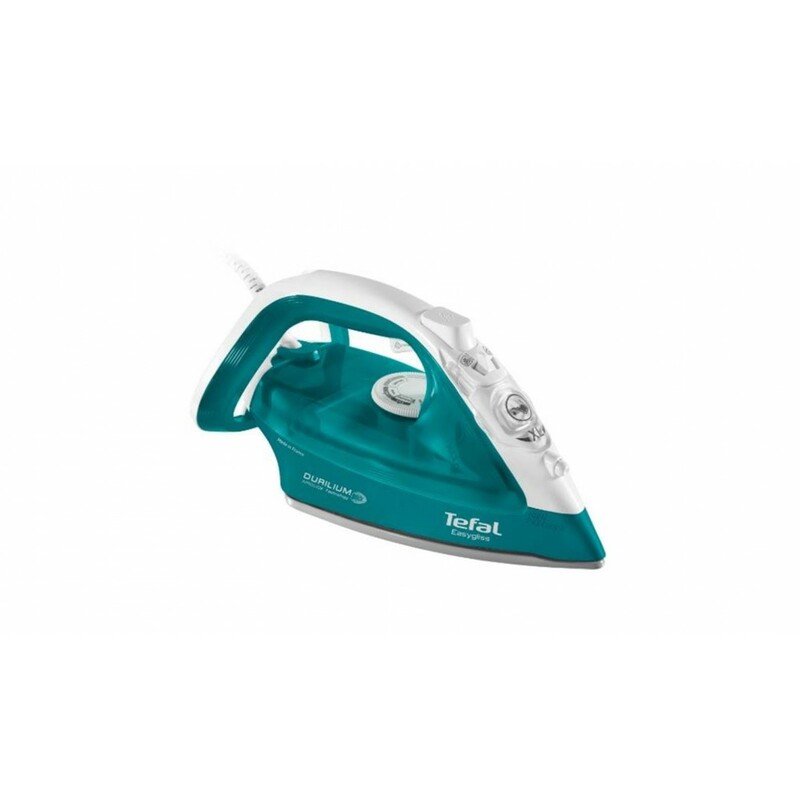 - Optimal steam distribution for easy ironing : Our specific iron construction provides an optimal diffusion of steam throughout the soleplate. Contrary to most competitors, steam is distributed at the tip and heart of the soleplate for highly efficient ironing. The fabric is effectively moisturized and your ironing made easy . - Anti-drip to keep fabric spotless : Prevents water from dripping on your linen while ironing delicate fabrics at low temperatures . - Easy setting : With the Automatic Steam function, simply choose your fabric type and the iron will do the rest, automatically adjusting the suitable temperature and steam flow . - Easy to fill watertank (270 ml) : The filling hole is designed to smoothly refill the water tank . - Anti-calc action : The Anticalc system makes the cleaning operation of your iron possible. A regular maintenance will ensure durable steam performance . - Power cord length : 2 ml .